If you’ve been around here for awhile, you know I love Chocolate Covered Katie. So naturally, I loved her cookbook, too! When I first got the cookbook, I dog-eared a bunch of pages with recipes I wanted to try. But one I didn’t really pay attention to was her Ironman Muffins. However, when my friend, Stacy, said these were a family favorite, I knew I had to try them. Because I’ve learned to pay attention when Stacy recommends something. She know her stuff — especially when it comes to food! Kaitlynn (my 10-year-old) made the first batch of these and I promptly fell in love. I fell so much in love with them, that I have been making 1-2 batches every week and eating at least a few of these every DAY. They are easy to make, they don’t require a lot of steps, they are delicious, and they are packed with nutrition. 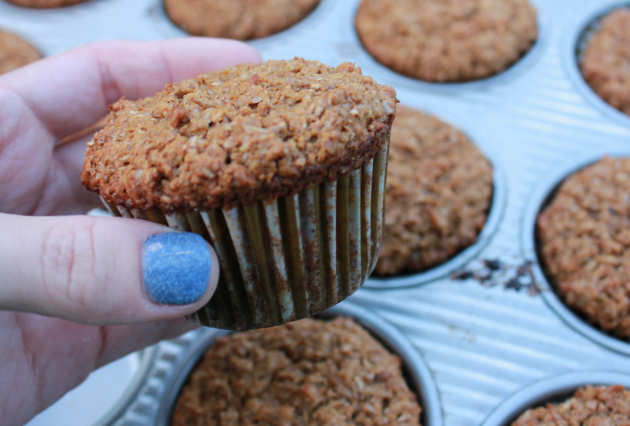 If you’ve been looking for a good bran muffin recipe that is also really good for you, try these out! By the way, Stacy sent me these USA Pans as a gift. Now I know why she has sung their praises over and over and over again. They are amazing! In typical Crystal style, I took the original recipe and re-did it. 🙂 You can see the original recipe here. Preheat oven to 400 degrees. In a mixing bowl, mix together bran and milk and let soak for 5-10 minutes. Stir together oil, molasses, eggs. Mix into bran mixture. Combine remaining ingredients and stir together. Pour the dry ingredients into the bran mixture until evenly mixed. 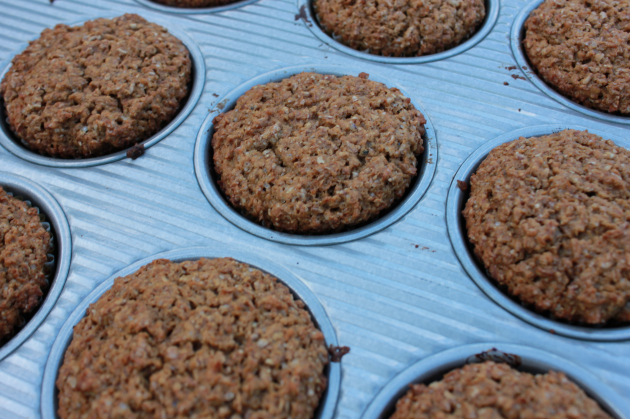 Pour batter into 12-15 greased or lined muffin cups. Bake for 20 minutes at 400 degrees until lightly browned. Allow to cool for 10 minutes and then remove from muffin tins. Looking for more muffin recipes? 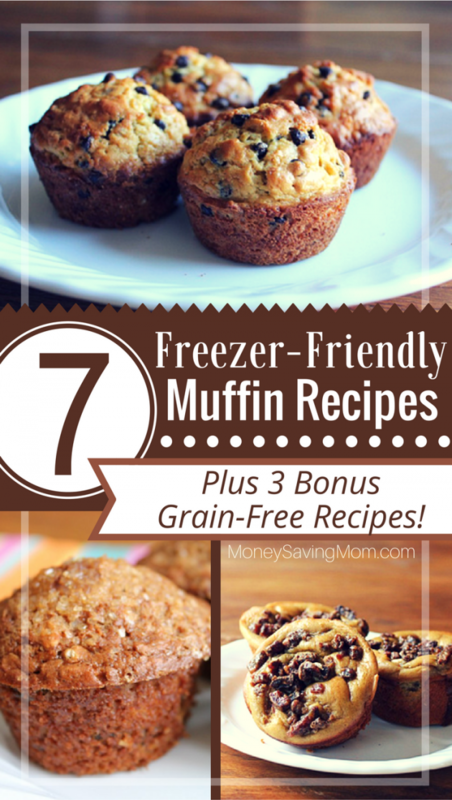 Check out my post on My Top 7 Favorite Freezer-Friendly Muffin Recipes. Those are the best muffin pans. I never use liners, and I’ve never had anything stick. Since I was taking these muffins on our trip, I used liners for them, but I can’t believe how I can make muffins without liners and have no issues with them sticking in this pan!! They are amazing! Just curious….why did you decide to add eggs to the recipe? Did it make them more moist? Thanks. The original recipe calls for flax, which is a substitute for eggs (the creator of the recipe is vegan). I didn’t have flax seeds, so I used eggs instead. I’m so curious why you don’t create pinnable images for posts like these? Would look great and be so much better to pin! And a recipe plugin? The “Print This” button isn’t working…. Unfortunately, our backend of the site is having issues so we can’t add any new plugins right now or it breaks the site (not fun! ), but I didn’t realize that the Print This button wasn’t working. I’ll go see if we can get that fixed! haha I know all about last minute! 😉 Bummer about the plugin. I’m impressed you didn’t use chocolate chips instead of raisins. I am not that strong yet. ? These look great! Where do you get your wheat bran and in what aisle is it found? Probably a silly question, but I have a hard time finding things that aren’t my usuals. ?And I LOVE how you constantly give comment love and props to others!!! You are hands-down my favorite blogger! So you could use bran flakes instead of wheat bran, as the original recipe calls for. But the wheat bran should be near the baking supplies — somewhere near the flour, oats, etc. I would find it in the organic baking section of my store most likely. I am going to try this recipe since I have a bunch of wheat bran in my freezer. Do you think that oat bran could be substituted for the wheat? I haven’t tried it before, but I think it would maybe work. Let me know if you try it! Hi! I hope to try these soon. 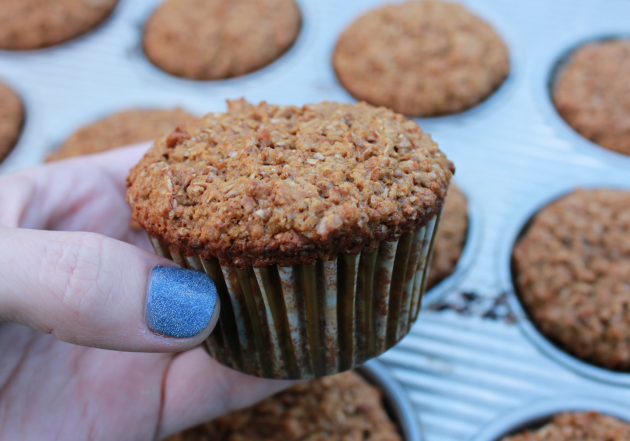 I lost my favorite bran muffin recipe some years ago and have been reluctant to try other recipes since they come out dry. Would you say this is a moist muffin or a hearty texture type? I’m really particular about moist baked good such as muffins and cakes. Also, I noticed a discrepancy between this recipe on here and the one in the post you sent out on 08/03/17 via email. This one says 1 egg and the email version says 2 eggs. Please advise which it is. Thanks so much! This is a heartier muffin, but it’s also fairly moist. I like it fresh from the oven with lots of butter! 🙂 I’ve done both 1 egg and 2 eggs, but I decided to change it to 1 egg since that mirrors the original recipe better. Do these freeze well? It seems like most muffins do. Thanks! 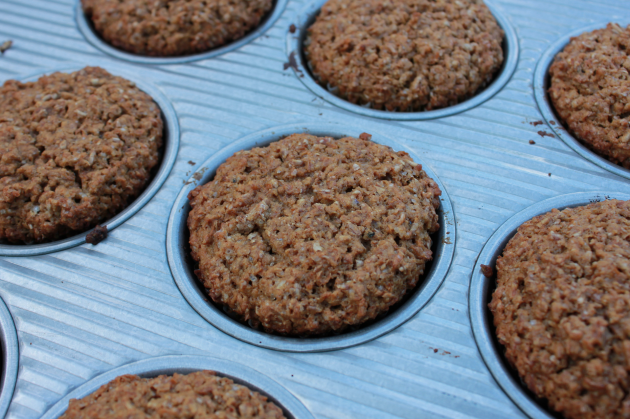 Could you use oat bran in this recipe instead of wheat bran? I think you maybe could. Let me know if you try it! I think you probably could. Let me know if you try it!